Mitsubishi Outlander is an exclusive product of renowned Japanese car maker Mitsubishi Motors. It is quite a handy crossover wagon which seems to be a mixture of Tall wagons and SUV's. Mitsubishi Cars is world famous for its extensive unique looks and exterior designing of the vehicles. There are many other vehicles with which its exterior appearance can be compared. Toyota RAV4, Honda CR-V, Subaru Forester and Chevrolet Equinox possess similarity to Mitsubishi Outlander but still its popularity graph is higher than all these similar vehicles due to its super sportier look and elegant appearance. It is quite clear from the Mitsubishi Outlander Pictures that no stone is left unturned to make it a perfect crossover SUV. A 2.4-liter four-cylinder engine and continuously variable automatic transmission (CVT) are mounted in the base ES models which doesn't look so good. It hampers the speed and noise quotient of the vehicle to an extent. The six-speed automatic transmission gear box along with shift paddles makes it easy for the driver. The engine which is worth mentioning and amazing is that of the Outlander GT. It has 230-HP, 3.0-liter V-6 engine to give it a mind blowing quickness, less noise and vibration than the base and other lower models. Undoubtedly, the sitting spacing and system is sound but the last seat people would had a difficult time while travelling due to less spacing. Even children might feel uncomfortable in it. The second is absolutely fine as its adjustable. A person can adjust the leg spacing according to his/her convenience and travel comfortably. Its totally packed with almost all the modern safety features, though roof is said to be a minus point. In addition to all that, Mitsubishi Outlander features heated exterior mirrors along with heated front seats. In SE, automatic climate control is indulged as a new feature. Here also the Outlander GT proves the ultimate winner as it has standard air conditioning, keyless entry, and a 140-watt, six-speaker sound system. Not only this but also rain-sensing wipers, bi-xenon HID headlamps, 710-watt Rockford Fosgate sound system along with 9 speakers and a sub-woofer. The only puzzle which is bothering the people is the Mitsubishi Outlander Price. Everyone is quite confused regarding its price. 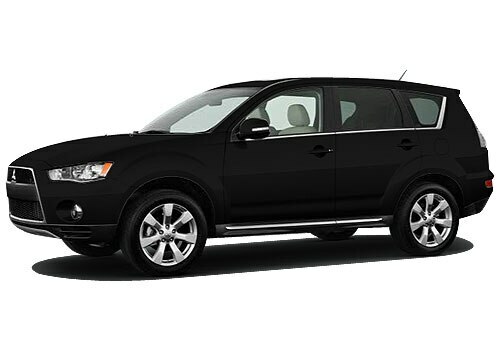 Drawing a guess of price is quite tough for this 2013 Outlander GT. No matter what price tag it carries later on, it is definitely going to affect the Indian Car Market. Recently, Honda had commenced its first ever hatchback, Honda Jazz for the Indian market.